This smashing filly by Rich Enuff from winner and already high quality producer Balsamico , has just joined #TeamRBR . She will be raced in majority by one client with very limited co-ownership opportunities available. By Rich Enuff, Written Tycoon’s fastest, highest rated son at stud. At 1:08.13 – he is the fastest a 3YO colt has run down the Flemington straight six this century. She is the 3/4 sister to MASTHEAD a winner of the INGLIS 2yo Classic. Her dam, Balsamico, is by Redoute's Choice and is a 3/4 sister to Fullazz. These are bloodlines rarely seen in South Australia so she is a mare that has a huge upside for breeding as well. 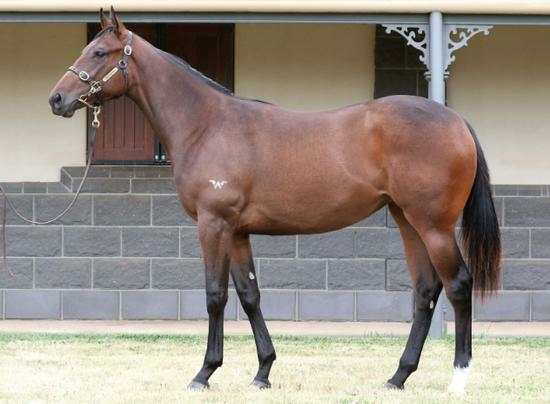 For further details or enquiries in this filly or other plans please contact Matt on 0409 054 917. Masthead (g. by Written Tycoon). 4 wins-1 at 2-to 1200m, A$702,100, S$336,325, MRC (Mornington) Inglis Premier 2YO S., Singapore Airlines A380 Sydney S., Singapore TC Graduation S.-twice, 2d ATC Roman Consul S., Gr.2, BRC QTC Cup, Gr.2, MRC Gothic S., L, Kevin Heffernan S., L, Ipswich TC Eye Liner S., L, Singapore TC Kranji Sprint, L, MVRC Microflite Helicopters Inglis Banner 2YO S., Singapore TC Kranji A S.-twice, Benchmark 89 H., Benchmark 97 H., Singapore Airlines A380 Zurich S., Benchmark 89 H., 3d MRC Blue Diamond S., Gr.1, Singapore TC Kranji Sprint, L, XXXX Gold Hawkesbury Rush H., 4th ATC Golden Slipper S., Gr.1, VRC Sires' Produce S., Gr.2, Danehill S., Gr.2, Maribyrnong P., Gr.3, Scone RC Luskin Star S., L, Singapore TC Paititi Gold Trophy, L.
Despacito (f. by All American). Winner at 1450m in 2018-19, 2d SAJC Ubet P.
Rinaldo (g. by Reaan). 3 wins at 1000m, 1200m in Aust. Mothervine (f. by Hussonet). Winner at 1200m in Aust. Balmodena (f. by Good Journey). Winner at 1900m in Aust. WRITTEN DASH (Written Tycoon). 3 wins at 1100m, 1200m, A$168,940, MVRC Typhoon Tracy S., Gr.3, MRC Appelles H., 2d MVRC 1print H.
Ty Dash. 2 wins at 1150m, 2d TTC Longford Cup New Years Day H., Devonport RC AJ Skirving Memorial H.
SIZZLING (Snitzel). 7 wins-5 at 2-from 1000m to 1600m, A$1,332,375, BRC TJ Smith S., Gr.1, Queensland Guineas, Gr.2, Sires' Produce S., Gr.2, Champagne Classic, Gr.2, Gold Edition P., L, GCTC Ken Russell Memorial Classic, L, BRC Tyquin Speech & Reading 2YO H., 2d BRC BJ McLachlan S., Gr.3, Vo Rogue P., Gr.3, GCTC Magic Millions Guineas, RL, BRC Phelan Ready S., L, 3d ATC Expressway S., Gr.2, 4th ATC Bill Ritchie H., Gr.3, GCTC Magic Millions 2YO Classic, RL. Sire. CELERIS (Fusaichi Pegasus). 4 wins at 1200m, NZ$91,825, Levin S., L, ARC North Harbour Hyundai H., Matamata RC Rich Hill 3YO H., 2d CJC Pegasus S., L.
ROYAL RUMBLE (New Approach). 7 wins-2 at 2-from 1250m to 1800m, A$501,540, SAJC CS Hayes Memorial Cup, L, Graeme Conron H., Ubet SA Derby 13th May H., 2d SAJC Chairman's S., Gr.3. HOSS AMOR (General Nediym). 4 wins at 2, A$425,350, BRC Hampden S., L, Qld Tatt's RC Mercedes-Benz S., L, BRC Lancaster S., L, 2d MVRC Champagne S., Gr.3. Producer. LAUDEMIO (Alzao). 4 wins. See above. PITTANCE (Snippets). 14 wins-3 at 2-to 1200m, A$514,335, QTC Lightning H., L-twice, Ipswich TC Eye Liner S., L-3 times, STC Mad About the Hat Raceday H., 2d QTC Lightning H., L, 3d STC Frederick Clissold S., Gr.3. Marauder (Marauding). Winner at 1350m, STC Star Alliance H., 2d AJC Breeders' P., L, 3d NSW Tatt's RC San Miguel Light 2YO H., STC Link Printing 2YO H.
BORN TO FLY (Mossman). 10 wins from 1200m to 1600m, 2,376Rgt., S$901,232, Singapore TC EW Barker Trophy, L, 2d Singapore TC Committee's Prize, L, 3d Singapore TC Saas Fee S., L, Admiralty Classic, L.
D'ARGENTO (So You Think). 4 wins-2 at 2-from 1200m to 2000m, A$1,103,525, to 2017-18, ATC Rosehill Guineas, Gr.1, Welcome Rydalmere CBC 2YO H., Nelune Foundation H., 2d ATC Epsom H., Gr.1, Theo Marks S., Gr.2, 3d ATC Winx S., Gr.1, Hobartville S., Gr.2, 4th ATC Doncaster H., Gr.1. SHY HERO (Last Tycoon). 8 wins to 1200m, A$441,190, AJC TJ Smith S., Gr.3, AAP H., San Miguel Light H., STC X-Site Nightclub H., Scone RC Emirates Park Quality H., 2d AJC South Pacific 3YO Classic, 4th STC Eskimo Prince H., L.